Verry Elleegant proved to be a superior staying filly in sweeping to an ATC Australian Oaks victory. 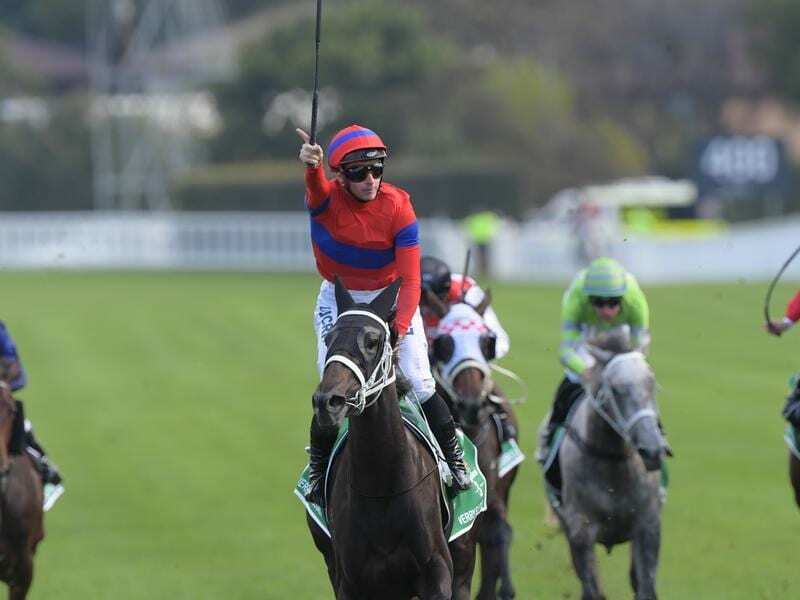 Chris Waller believes the best is still to come for Verry Elleegant after she stamped her class on the Group One Australian Oaks with another dominant win. The filly hasn’t been straightforward to train and at times has struggled to settle in her races but the time and effort invested by the Waller team and jockey James McDonald has been rewarded with her racing manners finally complementing her ability. Despite a wide draw, McDonald was cool under pressure, easing Verry Elleegant back shortly after the start and slotting her into a position one off the fence. He didn’t panic when Hugh Bowman on second elect Frankely Awesome made a mid-race move to go to the lead, biding his time on the even-money favourite before bringing her down the outside with a sweeping run to score by 1-3/4 lengths over Scarlet Dream ($12). Frankely Awesome ($5) held on for third another 2-1/2 lengths away. “That was a brilliant win. She’s a very exceptional filly and I think the best is yet to come,” Waller said. “I think getting her to switch off and settle has been the winning of the Group One Oaks today. Verry Elleegant was Waller’s 99th Group One winner and his third Australian Oaks success after victories by Royal Descent in 2013 and Unforgotten 12 months ago. McDonald has been the filly’s regular rider this campaign and was thrilled to get the job done when it mattered most. “She’s been a work in progress,” McDonald said. “I’ve had a lot to do with her the whole time, she’s been tricky but she’s just grown up so much. I never thought I’d see the day of her relaxing over 2400 but she’s done that brilliantly.